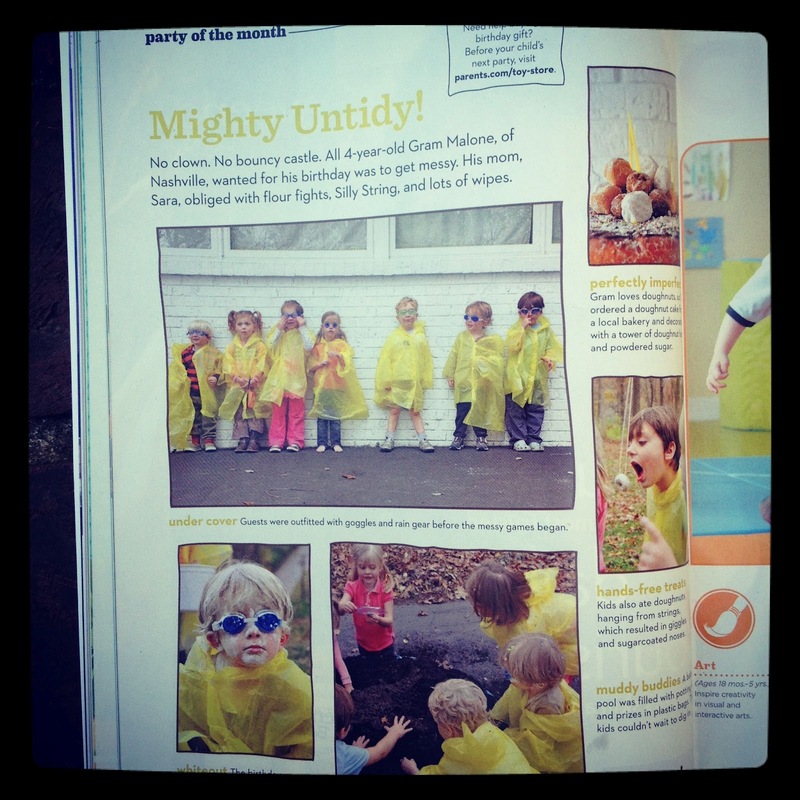 I was thrilled that Parents magazine included my son's messy birthday party in their September issue. Go check it out if you haven't already! They've also got some great suggestions from chefs as to what to pack for school lunches...I've torn out the story and put it in my kitchen for inspiration. In other news, my new favorite thing is instagram (user name: sarahicksmalone). I was just beginning to wean myself a bit off of Facebook and then this comes along. Darn! I'm hooked. Welcome back Sara! We have missed you. I'm on instagram too :) "sbond"
Yay, you're back. Your website always provides me with great inspiration. Welcome back! And congratulations. It's understandable. This was a fantastic party! Nice information you posted here i am fully inspired here keep continue sharing. hope you may post in future are also these kind of interesting articles. Congrats on the magazine piece. The party looked fun! 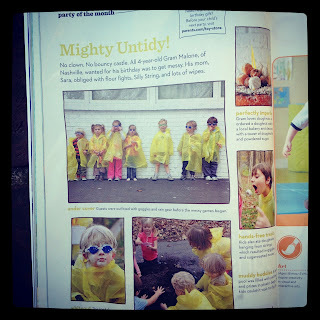 Wow it is a quite exciting that the article was posted in Parents magazine. I think that flour fights are a really great idea if getting messy is your goal. It can be difficult to come up with different school lunches every single day for over nine months a year. Such a great way to post party pictures, they can get easily known across the internet. Glad, that you're back in blogging, goodluck! Yes I have read that “Parent magazine” last week and know about the enjoyment of your son’s birthday party at party venue nyc. He is looking really very cute at that page of magazine. "The information you shared through your post is functional. Look, I've just found some useful info at"
I have recently learnt its blogsite and the imperial view of superhero birthday party and ice cream truck toronto beguiled me gallore times that in the case of entretainment it is only bouncy castle rentals toronto which gives above board a sweet beloved when Toronto Magicians cames in steamroller pathway. Yes it is just whole-souled astonishing. If you may have a plan for birthday party reception, you will have to log in its web portal." I think I am hooked too. It seems pretty incredible. Magazines are quite old school now. But parents have instagram now.